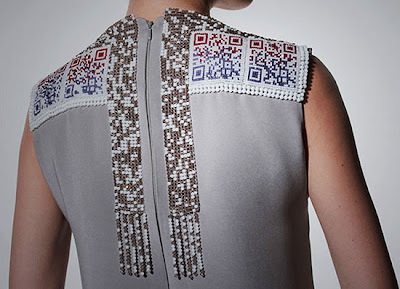 15 Creative QR Code Inspired Products and Designs. 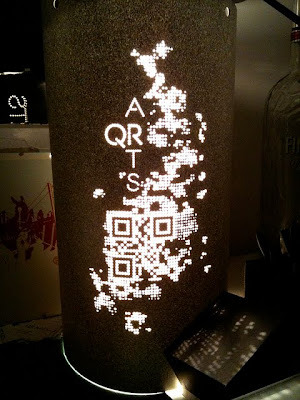 Collection of 'Creative QR Code Inspired Products and Designs' from all over the world. 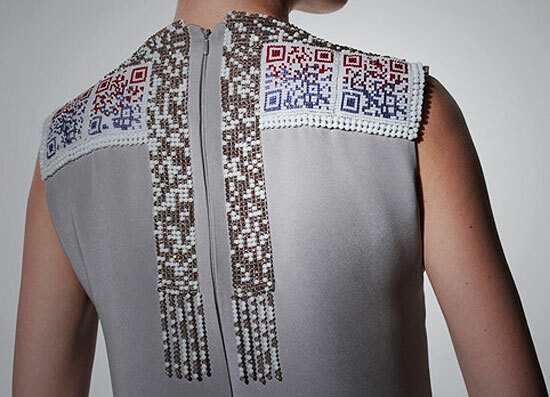 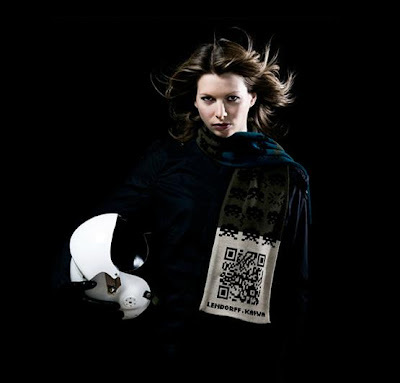 QR Code Dress: Designer Thorunn Arnadottir's dress features beads that creates QR codes which a smartphone recognizes and links to websites or text. 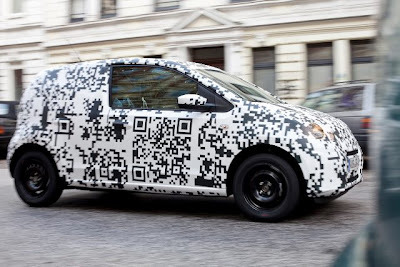 Volkswagen prototype camouflaged with a QR Code: Volkswagen drove its small hatchback with QR code through major German cities. 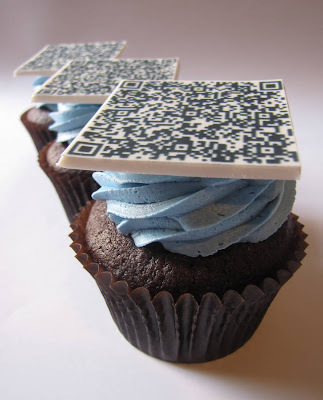 Once you click the QR code with your smartphone, it takes you to its mobile site for more information. 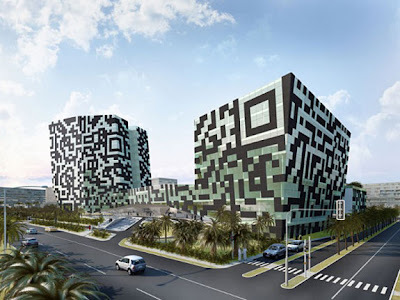 QR Code Portrait: Scott Blake created a large scale "pixel portraits" using 2,304 QR codes. 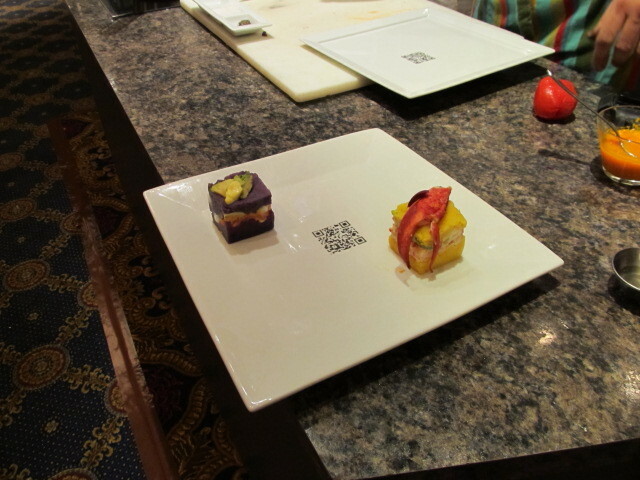 QR Code Plate: Edible QR codes on the plates gives the ingredients for the dish prepared. QR Code Hotel: Code unique is QR Code hotel concept by Söhne and Partners. Edible QR Code Cupcakes: These cool edible QR Code cupcakes comes from Montreal's clevercupcakes; click the QR code with your smartphone that it takes you to the Montreal Science Centre website. QR Code Lamp: Cool QR code lamp by QR Arts. QR Code Scarf: This stylish scarf from Lendorff Kaywa will not only keep you comfortable but comes with a QR code located right on the end. 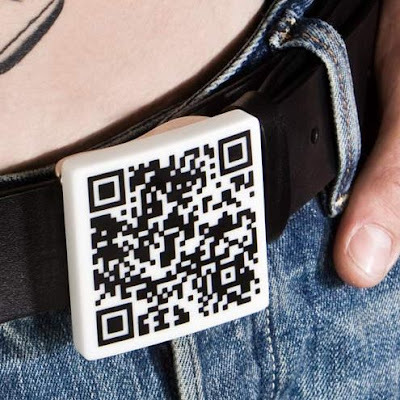 QR Belt Buckle: Design your own belt buckle with your personal data or a personal message into a QR Code by Fluid Forms. 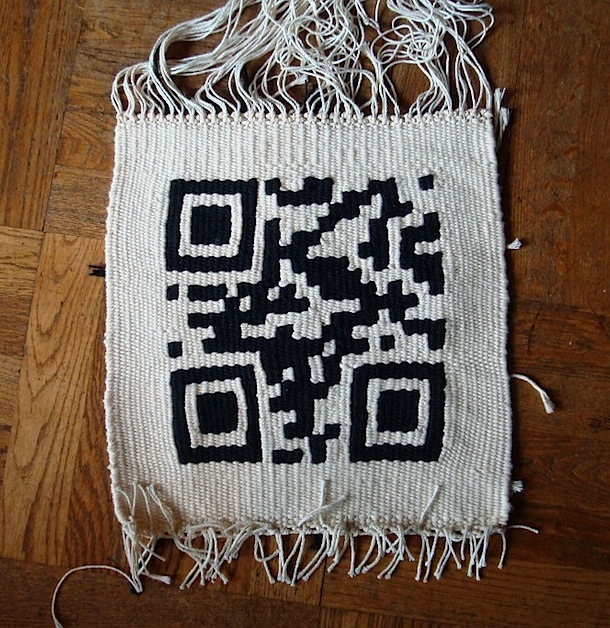 QR Code Carpet: Cool QR code carpet by N Gradwohl. 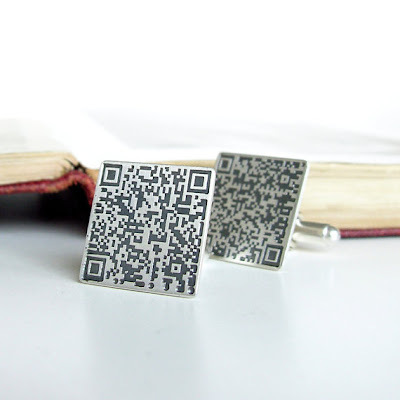 QR Code Cufflinks: These silver cufflinks are customizable to link to your website, Facebook page, business details or a text message. 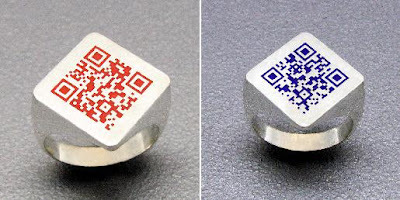 These measure approximately 2cm x 2cm and you can put on to 150 characters. 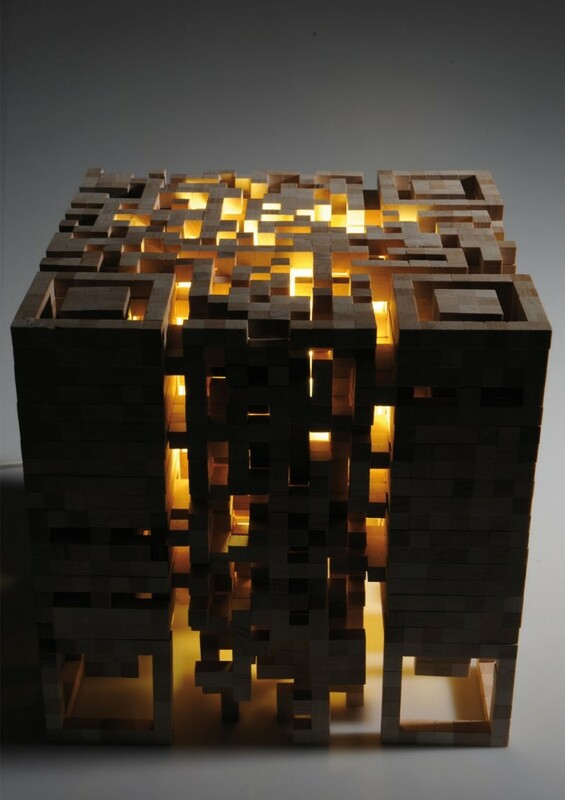 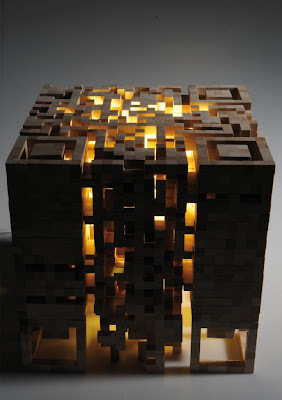 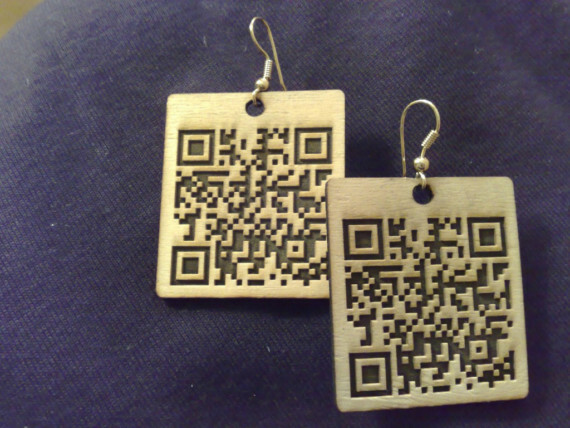 QR Code Wooden Sculpture: German designer Elena Belmann transforms a two dimensional QR code into a three-dimensional structure. 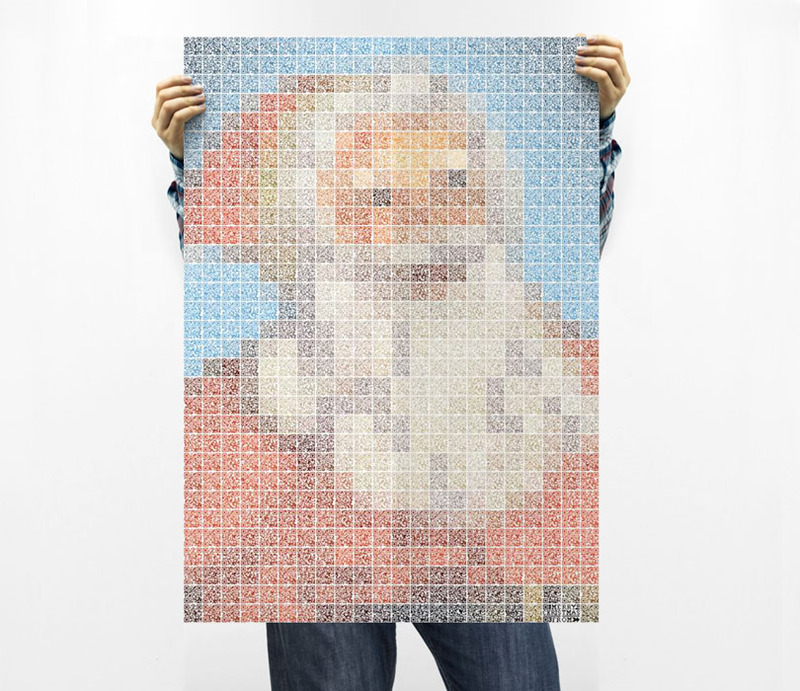 QR Code Wrapping Paper: This cool wrapping paper comes with QR codes that links to thousands of gift ideas. 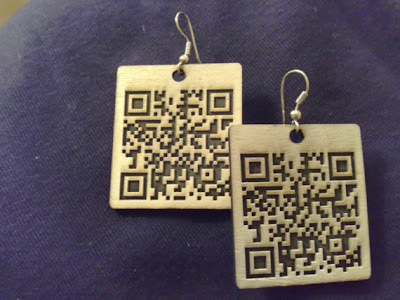 QR Code Earrings: These QR code earrings link to the mobile version of the Wikipedia's article.